Many schools return year after year for their children to enjoy ‘five days in another world’. The Trust has enjoyed a long term association with many schools nationwide who annually send their children to Thalatta for the unique experience of ‘5 days in another world’. This regular return of children of a given age (9 to 16) demonstrates the value schools – and the parents – place on the unique experiences provided in a safe, but challenging, environment. Children leave Thalatta enriched with enhanced values of teamwork, loyalty and trust and, over the years, many have said how their outlook on life was fundamentally revised by the care and encouragement of Thalatta’s crew. A maximum of 12* from the school, including teachers, can be accommodated which means each can receive personal attention and guidance. Log books compiled by children over the last 50 years make fascinating reading, and copies of entries can be provided to present-day adults who recall their happy cruises as a child. Thalatta is based at Ipswich in Suffolk and cruises the East Coast of Essex and Suffolk, with overnight anchorages in the tranquil rivers which abound. 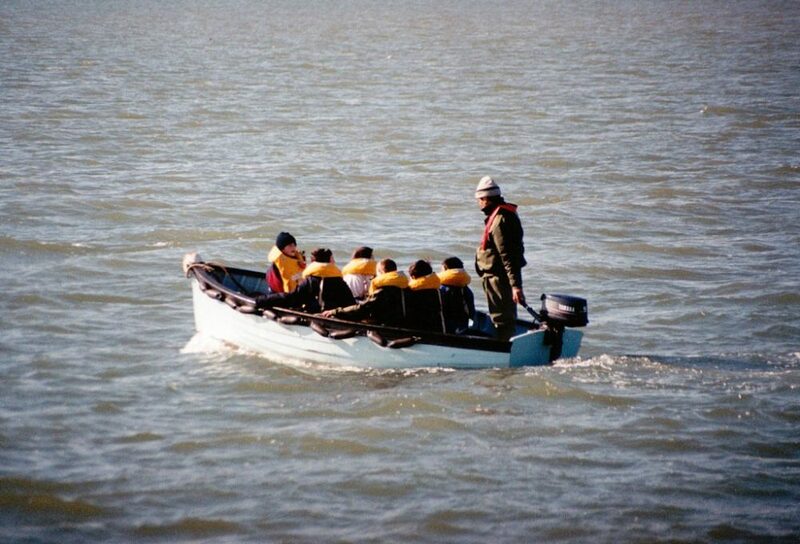 *For schools wishing to take away more than 12, a second barge can be booked for the same week to accommodate another 12 children and teacher. Alternatively some schools choose to book Thalatta for two consecutive weeks.